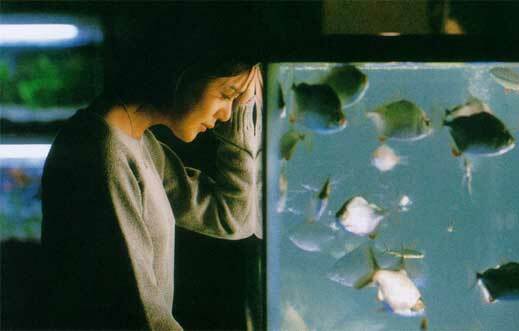 Shiri (Swiri) by director Je-kyu Kang is one of the most recognizable South Korean movies from past decade. It was one of the first big budgeted blockbusters produced in South Korea in late 90's and immediate hit in box office, domestic and abroad. Borrowing production values from Hollywood and action from popular Hong Kong movies, it's a vigilant mix of both. A movie that dethroned Cameron's mighty Titanic from it's position of most viewed movie in Korea. South Korean Intelligence agency comes into possession of information that North's spy's, sleeper agents, are trying to acquire recently discovered liquid explosive CTX. As CTX is undetectable by any known methods, South is afraid that it will be used in terror acts by North Korea to destabilize situation in region. As two of top agents Jong Won Yu (Suk-kyu Han) and Jang-gil Lee (Kang-ho Song) are investigating this matter, it appears that the enemy is always one step ahead, and suspicions arouse among them of possible mole inside the agency. Star filled superspy thriller in best traditions of it's time, spectacular firefights using tremendous weapon arsenal, spy intrigues, chases and SWAT teams. All of it on the screen, most of the time. Director Je-kyu Kang like in his next, famous war movie Tae Guk Gi: The Brotherhood of War likes to hint at closeness of both Korean nations, even tho they are enemies, in short breaks between violent fighting, he adds a dramatic layer to it, showing that divide is artificial, and on human level, relationships are possible between the two. Moreover, the movie name itself, Shiri, strongly confirms directors opinions, in a monologue by one of the characters in the movie, it explains that Swiri is a fish, that lives in rivers that flow across the Korea, and the fish doesn't know of South or North, it just swims in a water. If you judge the movies by cast, finest to this day actors Kang-ho Song and Min-sik Choi, beautiful Yunjin Kim, best known in west for her role in popular TV show Lost, will guarantee that you won't be dissapointed. Splendid spy action thriller, that won't let you get bored. Good dose of action and drama. Recommended.